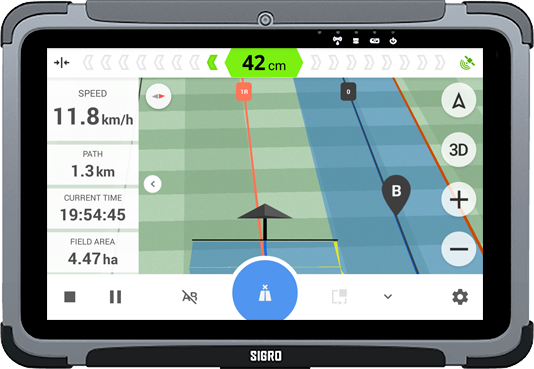 Sigro Navigator is a modern tractor guidance solution. Increase the efficiency of field work and optimize resource usage to achieve significant savings! 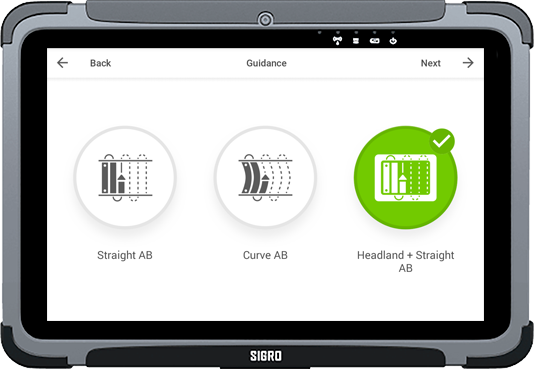 What can SIGRO navigation system do for you? and gives opportunity to work in conditions of poor visibility. Simple & easy to use application. 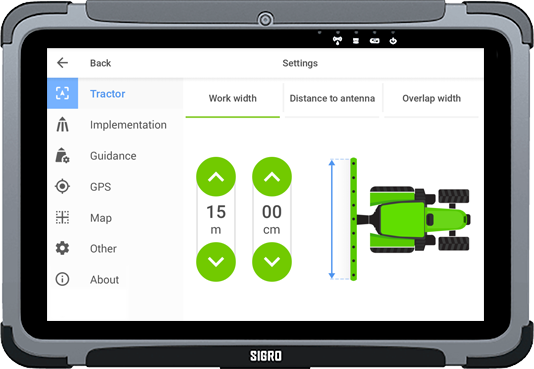 Access precision farming solutions directly from your Android tablet. Compatible with most GPS receivers. Select the best according to your needs. Get a precision up to 20 cm. Decrease your costs & working hours. Optimize your resources. Increase farming efficiency. Guidance lines assist in making optimal passes. 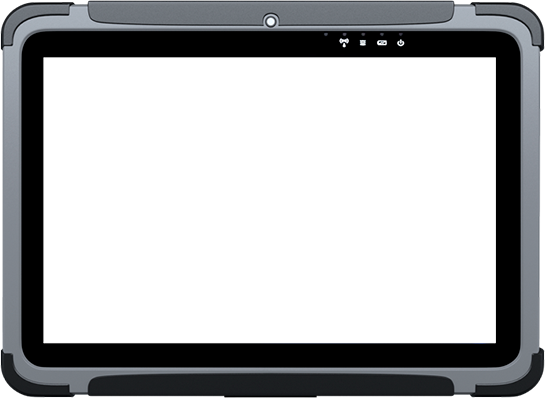 Lightbar on the top of the screen visually indicates deviation. 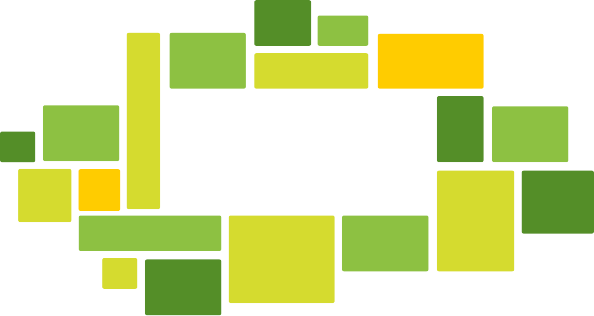 Straight and curved navigation lines are suitable for fields with complex boundaries. 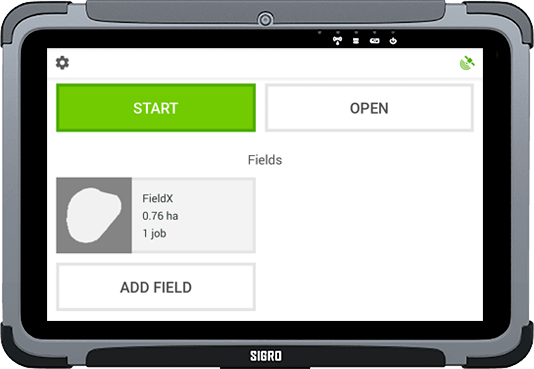 Field manager allows to store and view progress of your work on multiple fields. Night mode allows to work comfortably in poor visibility conditions. Installation and setup are very simple. Just few easy steps and you are ready to work. 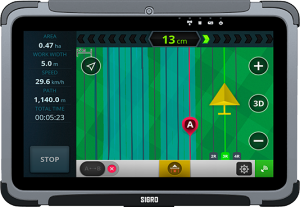 Most of the tablets have inbuilt GPS receiver which precision highly varies from device to device and depends on usage conditions. If you need high precision for your operations it is essential to use external GPS receiver. 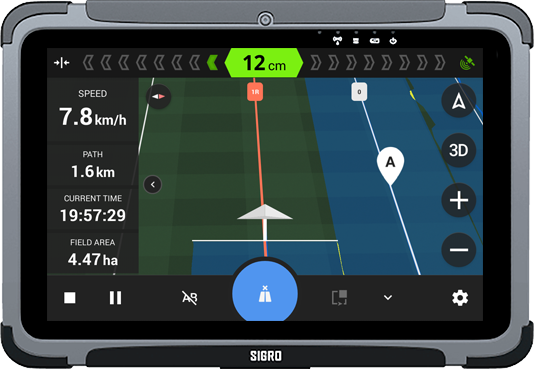 Sigro Navigator is compatible with any GPS receiver which supports NMEA protocol with connection via bluetooth or USB-OTG. We believe great partnership is what makes the difference in today's global market. If you want to know more about our business opportunities, please contact us and we will reply you shortly.